Here are a few examples of our film work over the years. We’ve included trailers of our first two feature documentaries, Dryland and Imagining Home, one complete film, MINERVA SOUCIE, and showcase several of our short films here. 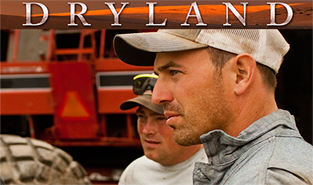 Please visit Dark Hollow Films for educational purchase of DRYLAND or IMAGINING HOME. Filmed over a decade and set in the American West, Dryland traces a young man’s quest for victory in a rambunctious contest, while battling to preserve a threatened way of life. This cinematic meditation on the fate of rural America reveals a paradoxical struggle between technological advancement and the dwindling family farm. Josh Knodel and best friend Matt Miller strive to win the Lind Combine Demolition Derby, save their town, and preserve the legacy of their families’ Eastern Washington wheat farms. Bittersweet yet exuberant, Dryland champions hope, in a celebration of hard work and harder play, fueled by ingenuity, heart…and axle grease. Watch the trailer here. 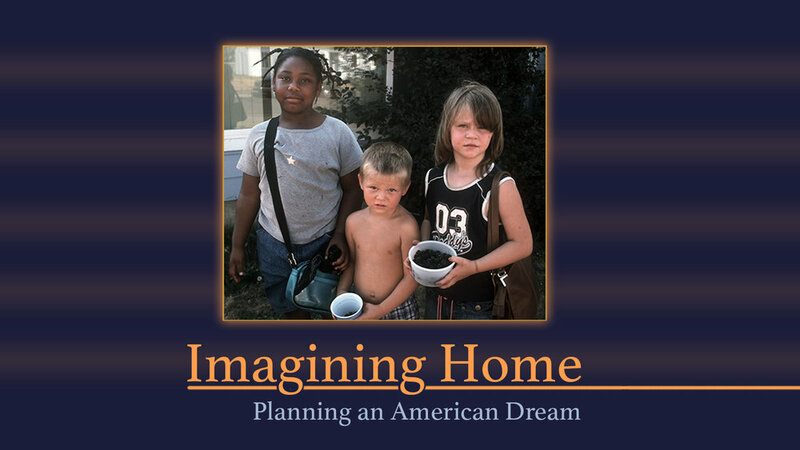 Imagining Home traces the complete transformation of Columbia Villa—a historic, cherished, and maligned Portland, Oregon public housing neighborhood enduring poverty, gang violence, and racial discrimination—yet hoping for a new chance. The film follows several main characters over five years through displacement, relocation, and return to the new development. Despite numerous obstacles, the tenacity and cooperation of residents move the charge to rebuild the soul of their community. Then, when New Columbia is re-inhabited, tensions around race and class threaten the new-found stability. Watch the trailer here. 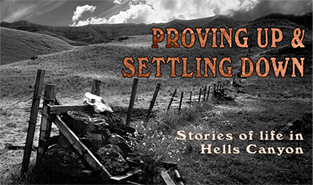 A story of Euro-American settlers, who lived in Hells Canyon, North America’s deepest river gorge, between the 1870s and 1940s. This film includes accounts of three old-timers who homesteaded the canyon—Violet Wilson, Ace Barton, and Joe Jordan. A portrait of the North Idaho School of Piping and Drumming in Coeur d'Alene, Idaho, whose goal is to preserve the music and history of the Scottish Highland bagpipe. 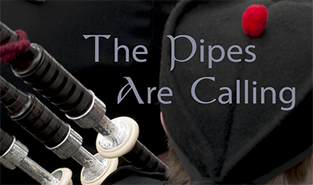 The film follows one student as she prepares for the Medallion, the prestigious annual competition focusing on the complex, haunting, and beautiful classical music of the pipes. 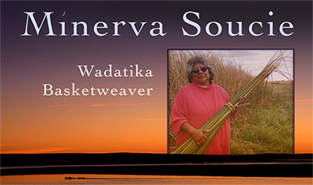 Master Basketweaver and Education Director of the Burns Paiute Tribe, Minerva Soucie preserves and passes on her knowledge to tribal youth and others in a the Great Basin community of Burns, Oregon. The term “Wadatika,” or black seed eaters, refers to the band of Northern Paiute People who lived near Malheur Lake, a rich source for the tiny black seeds, wada, a traditional food staple. Watch the film here. 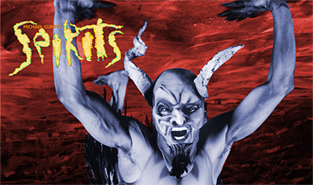 Michael Curry, world-renowned theatrical and puppet designer of Broadway's Lion King fame, creates a dramatic and elegant stage show including some of America’s top choreographers, dancers, and musicians. 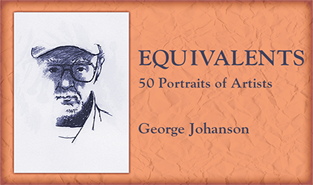 Renowned Northwest painter and printmaker, George Johanson, invites us into his studio as he prepares for a Portland Art Museum exhibit of charcoal portraits of 80 Oregon artists. Johanson shares his philosophy of art and technique, as he creates one of the portraits for the show. Interviews with several local artists and the opening reception round out this intimate portrait. 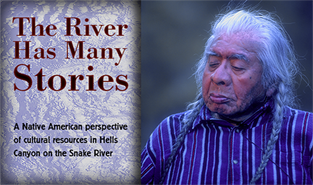 Elders of six Pacific Northwest tribes come together on the banks of the Snake River, deep in the canyon, to tell stories and discuss traditional lifeways in Hells Canyon, where their ancestors lived and traded for millennia. Dating to the early 1800s, shape note singing, also known as Sacred Harp, is a uniquely American musical tradition bringing communities together through four-part harmonies—in turn boisterous and reverent—but always soul-stirring.